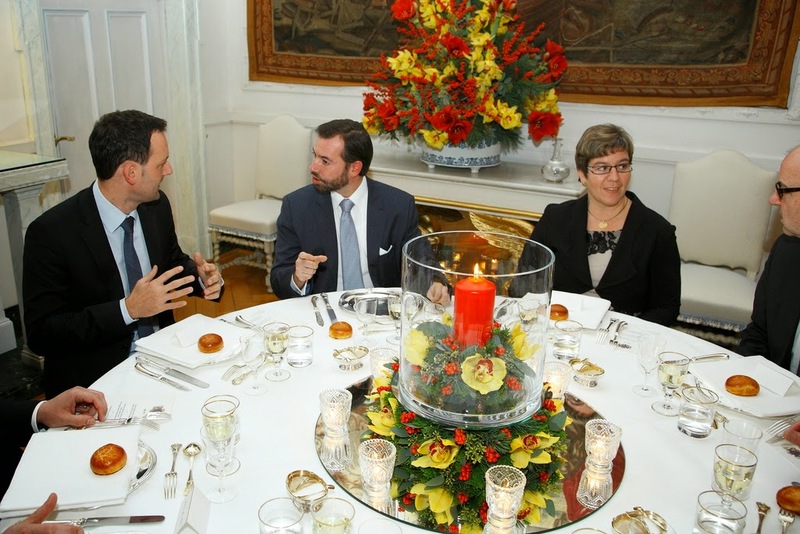 On Monday (December 1st), Grand Duke Henri, Grand Duchess Maria-Theresa, Hereditary Grand Duke Guillaume, and Hereditary Grand Duchess Stéphanie were at Berg Castle for a formal dinner between members of the Grand Ducal family and members of the Council of State (Conseil d'Etat). The Council of State is traditionally an advisory institution for the Chamber of Deputies and formally functioned as the administrative court. Today, the membership in the Council of State includes Hereditary Grand Duke Guillaume. Historically, the number of councillors was set at twenty-one, but this number does not include any members of the Grand Ducal family who are appointed to a position. The list of Council of State members may be found here. 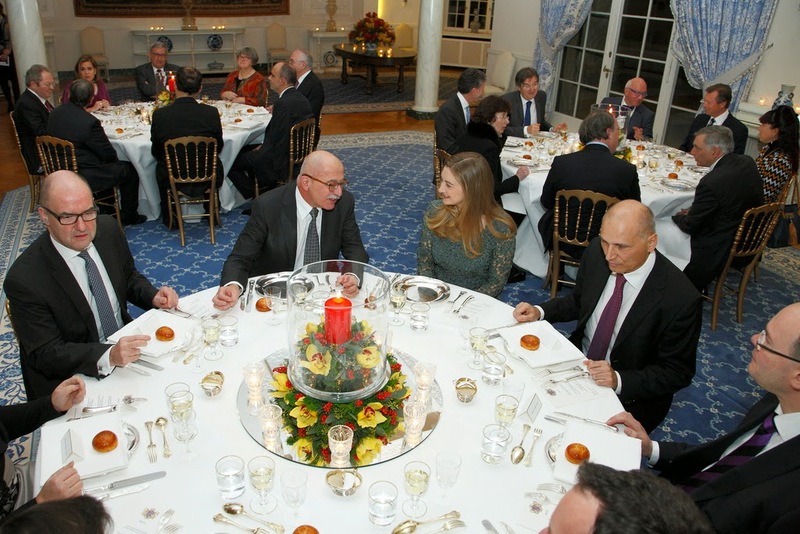 Some more photos of the event are available at RTL. Hereditary Grand Duchess Stéphanie looked to be wearing a dress by one of her favorite designers, Diane von Furstenberg.